I’ve been dreading this one all week. 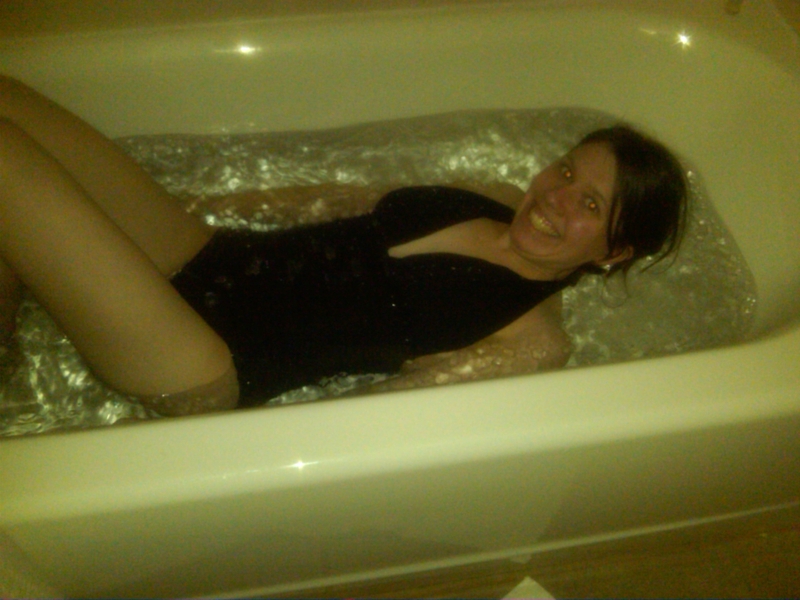 My apartment doesn’t have a bathtub, so I had to wait until I was in a hotel to try this one out. A hotel, I might add, in Maine. In January. When I was a kid, my sister Hilary, our friend Lando and I used to do Polar Bear Jumps at the Hidden Lake girl scout camp in the Adirondacks We’d get up at 6 a.m, sing a Polar Bear song, then jump into a freezing cold mountain lake and swim until our lips turned blue. Maybe three summers worth of that explains why, as I edge up on 30, I still occasionally get carded for R-rated movies. I have never been so cold in my entire life. I don’t care what Edna said, easing my body–no matter what part first–into a bathtub filled with ice water cannot be not-shocking. My core temperature immediately dropped to absolute zero. I felt like my flesh was being scraped off with a vegetable peeler. I catapulted out of the tub, grabbed a towel and stood shivering in the elevator until I could get to the hot tub, where I shivered for a good two minutes until my body temperature rose back up to just above freezing. On the plus side, Matthew did say I had a nice glow in my cheeks. I thanked him through chattering teeth. As a Boy Scout Polar Bear survivor, I salute you. Now, I think this little adventure was insane, but you were very brave. And probably smart to have a hot tub on hand.